Have you enjoyed your month of FREEBIES here on the Primary Peach? This month has been a lot of fun and full of great ideas and free resources. I hope you have been sharing them with your friends! Now it's my turn! I'm Meghan from Keeping Up with Mrs. Harris. 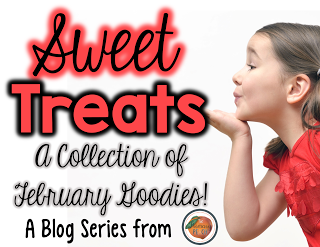 I have a "Sweet Treat" for you today as well! February is a short month, but our Winter Break always makes it a little shorter. I use this month to teach vocabulary due to the short duration of units. We cover homophones, synonyms, antonyms, etc during this month to expand our vocabulary in our writing and reading. 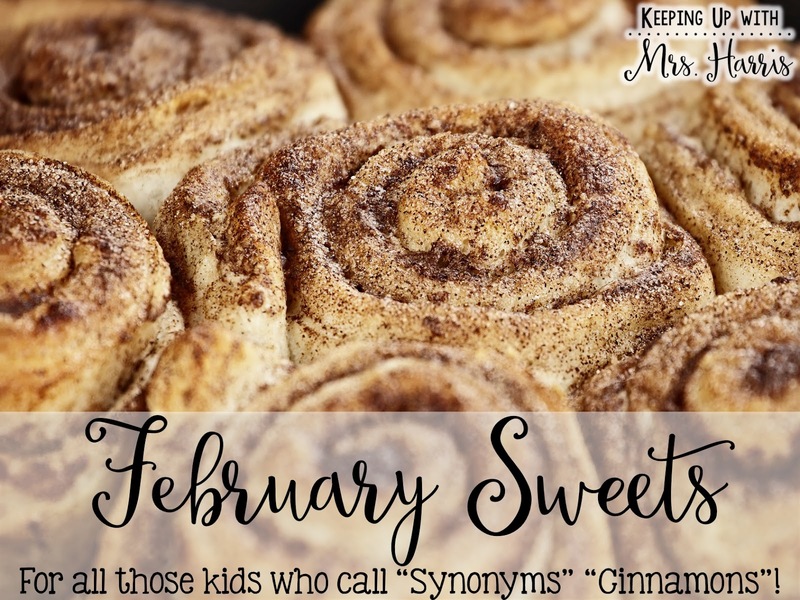 Synonyms is always a lot of fun to teach during this time, because if your students are like mine, they call synonyms "cinnamons". 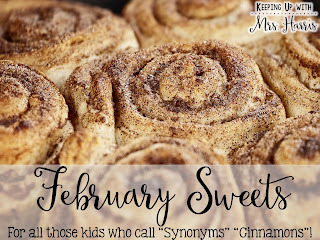 It's a great time to bring in cinnamon buns and teach synonyms. My students always love this as an afternoon treat and it is a great way to start or end this unit. 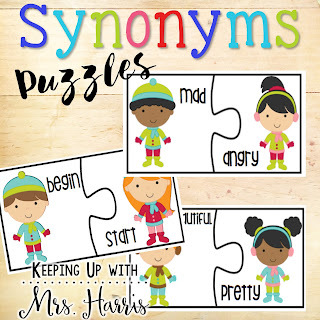 Today, I have a free center activity that I use with my kiddos. These are a lot of fun and my students always love puzzles. Here's a little tip...glue a magnet to the back of each puzzle piece and throw a cookie sheet in the center. That way the pieces don't move around as much. 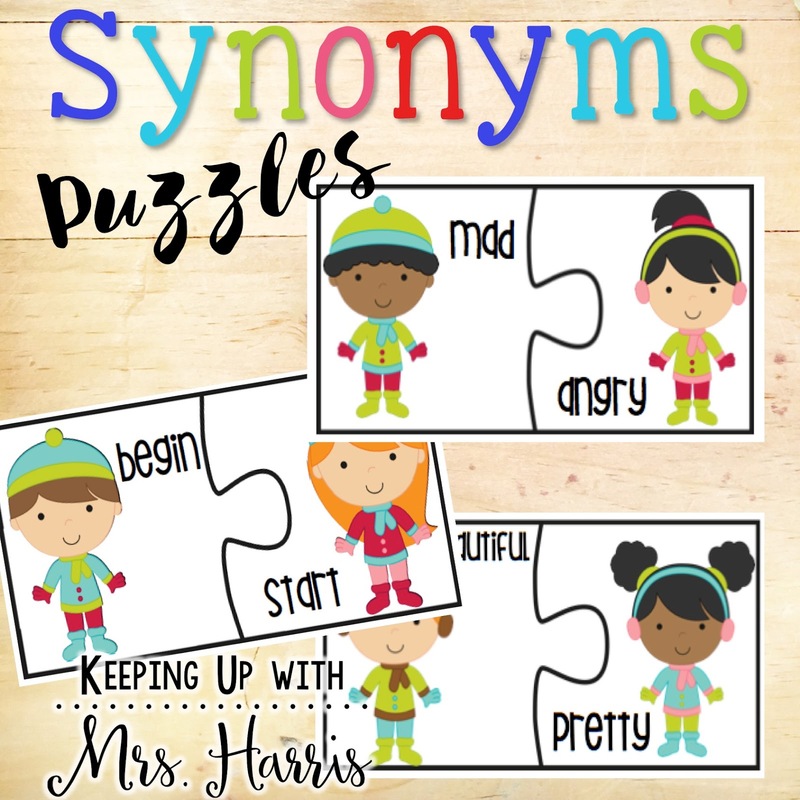 Click here to download this center activity. it is hard to keep track of them all.